As we already know, bleaching is a chemical procedure which is carried out to make thick and dark hair considerably lighter in appearance. It is mostly used for turning body and facial hair light blonde instead of removing them completely. Similarly, eyebrow bleaching is a method of treating eyebrows with certain chemical compounds in order to alter their natural colors and make them lighter. You can either get your eyebrows bleached by a professional through salon appointments or do-it-yourself at home by purchasing a branded eyebrow bleaching kit. How Does Eyebrow Bleaching Work? Whether it is a DIY attempt or done professionally, the technique of eyebrow bleaching is same in both cases. To start with, cleanse your face properly (pay attention to the areas around your eyebrows) and pat it dry. The bleaching kit should contain a pack of bleaching powder, a developer, and an applicator along with an instruction manual. Read the directions thoroughly and prepare the bleaching cream by mixing the developer with the bleaching powder. Do a patch test and if there is no reaction, go ahead with your brow bleaching. Apply the cream to your eyebrows gently and wait for 10 minutes. Then, wipe off with a warm and wet washcloth. The process makes use of a milder formulation of hydrogen peroxide, which bleaches the eyebrow hairs nicely and gives them a beautiful lighter look. Bleaching can lighten darker hairs to a great extent so that they become less noticeable and do not stand out from others anymore. Hence, people with a mismatch of color between their hair and eyebrows can totally go for brow bleaching to get a synchronized look. If you want a remarkable makeover to get a distinct look, eyebrow bleaching can help you by transforming your face immensely. It is an effective way to cover gray hairs in your eyebrows. 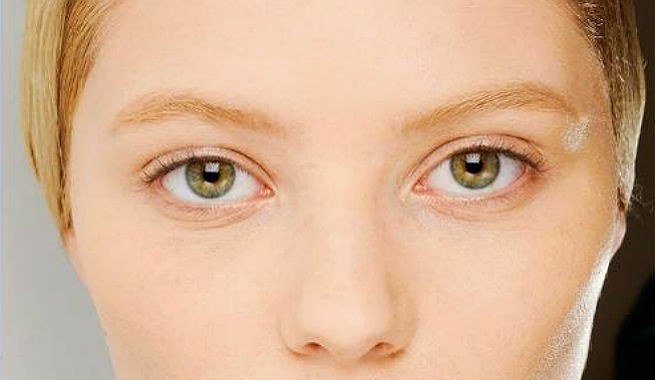 Making your eyebrows lighter will give you an overall facial glow. Bleached eyebrows can easily offer a youthful look, especially to people who have reached their 40’s. It is a simple (can be done at home just by using the kit), easy (no skill or finesse involved), and cost-effective (the product is inexpensive and easily available in the market) procedure. The entire procedure can be performed within 15 to 20 minutes only. The bleaching kit contains a ‘developer’ along with a pack of bleaching powder, which is loaded with chemicals. Use of chemical compounds to our skin or hair is always harmful and eyebrow bleaching also no exception. People with sensitive skin often find it difficult to tolerate the bleaching cream, which leads to irritation, rashes, and sometimes even severe allergies. 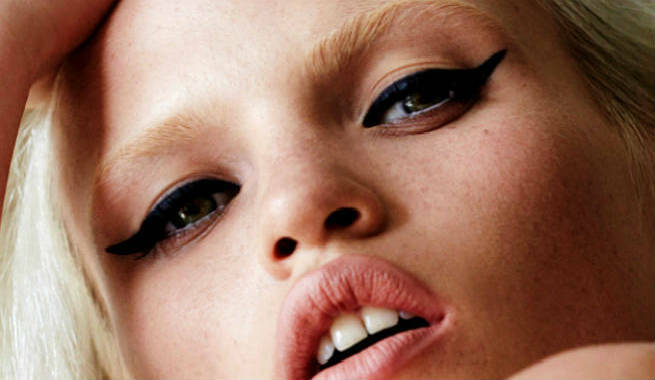 Over bleaching of eyebrows can give you a ‘no eyebrow’ look just like some of the runway models and it is TERRIFIC! The outcomes of brow bleaching are short-term. You cannot expect it to last for more than 4 to 6 weeks. As the hairs in the brows start growing out of the follicles, the natural color of the hair becomes visible at the roots once again. If you want to maintain the bleached look, you have to opt for regular touch-ups. A bleached eyebrow look does not go well with all types of hair tone. It also doesn’t suit all skin complexions well. The color of brow bleach might stain the skin in your eyebrow areas. 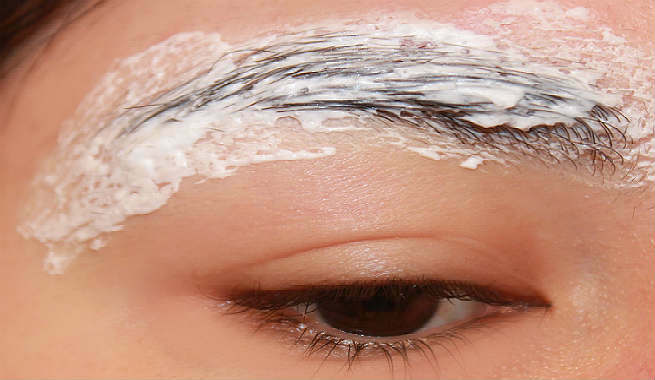 Even though it is said that eyebrow bleaching is a completely painless procedure, you might feel a slight tingling sensation with the cream on your brows. It is absolutely common and natural. However, if you experience a strong burning sensation after applying the bleach, wipe it off immediately as the formulation seems to be too strong for your skin. If the feeling persists for a long time or the skin turns red, get in touch with your doctor. 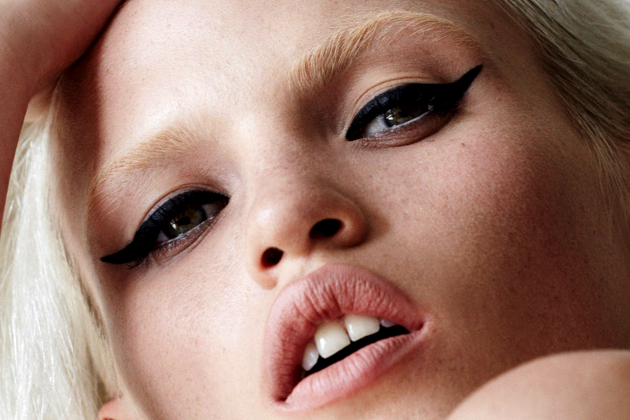 So, are you ready for a pair of bleached eyebrows?